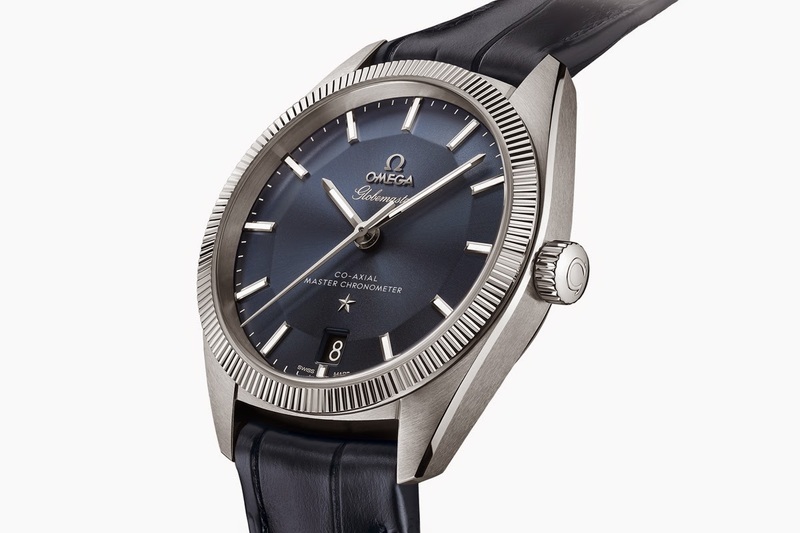 Presented yesterday in Basel on occasion of Baselworld 2015, the Omega Globemaster is the world’s first watch certified as a Master Chronometer passing the stringent tests that are part of the certification process announced at the end of last year by the Swiss Federal Institute of Metrology (METAS). 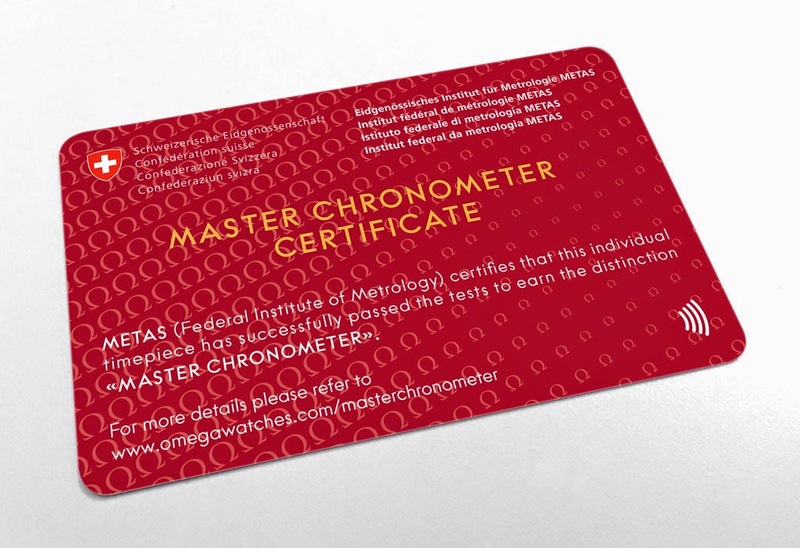 In order to earn the Master Chronometer distinction, the finished watches - not just the movement - are tested for their precision during and after exposure to magnetic fields greater than 15,000 Gauss, for autonomy (functioning without winding, measured in hours) and for water resistance. The characterising design features of the new Globemaster are its dial, which is created in a style that watch collectors have long referred to as a pie-pan dial, and the fluted bezel, an element that has decorated several famous Constellation watches. 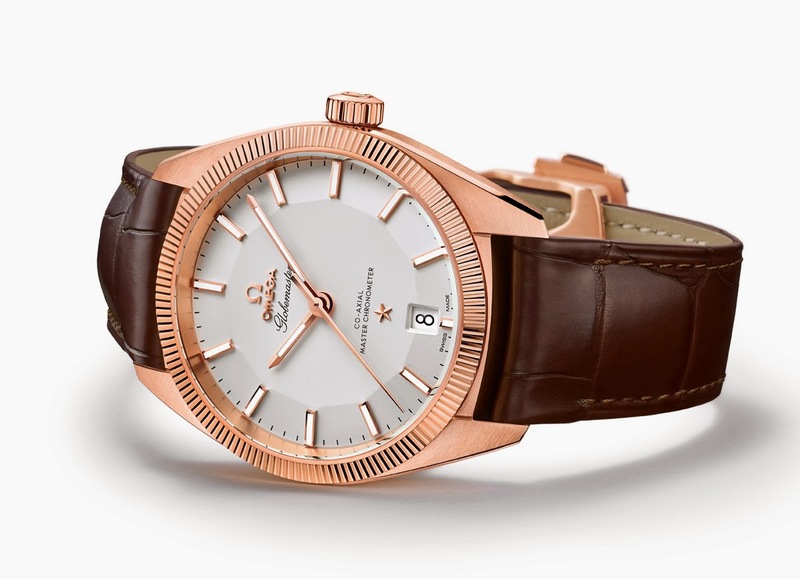 The Globemaster will be available in steel with a sun-brushed blue dial, in Sedna gold (a rose gold alloy which blends gold, palladium and copper) with a silver dial and in yellow gold with a silver dial. The date aperture at 6 o'clock respects the symmetry of the dial layout. 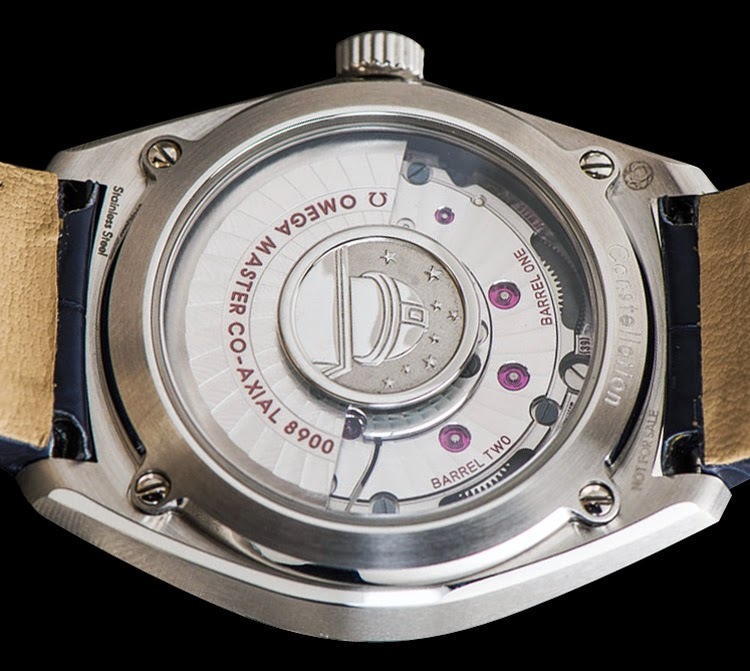 The eight stars on the caseback of the watch not only signify eight of the most important precision records that OMEGA’s movements set in the 1940s and 1950s (with the cupola depicting the observatory where the precision competitions took place), they also represent the eight tests that a watch must pass to become a Master Chronometer. 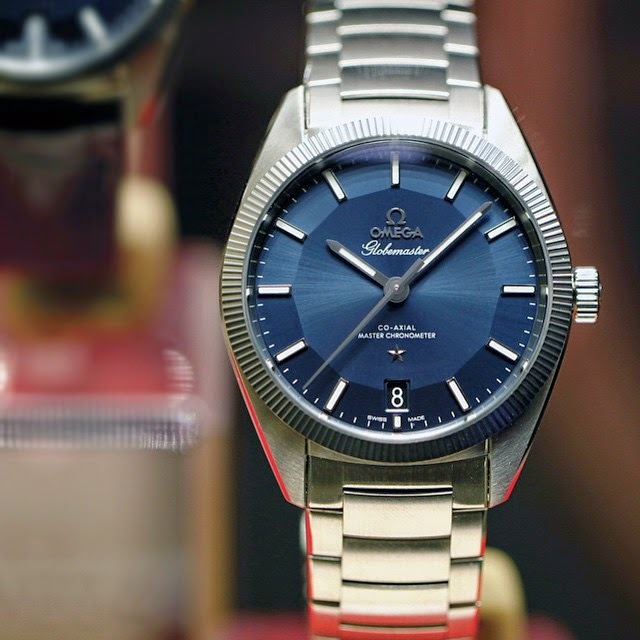 Baselworld 2015: Omega Globemaster Master Chronometer. 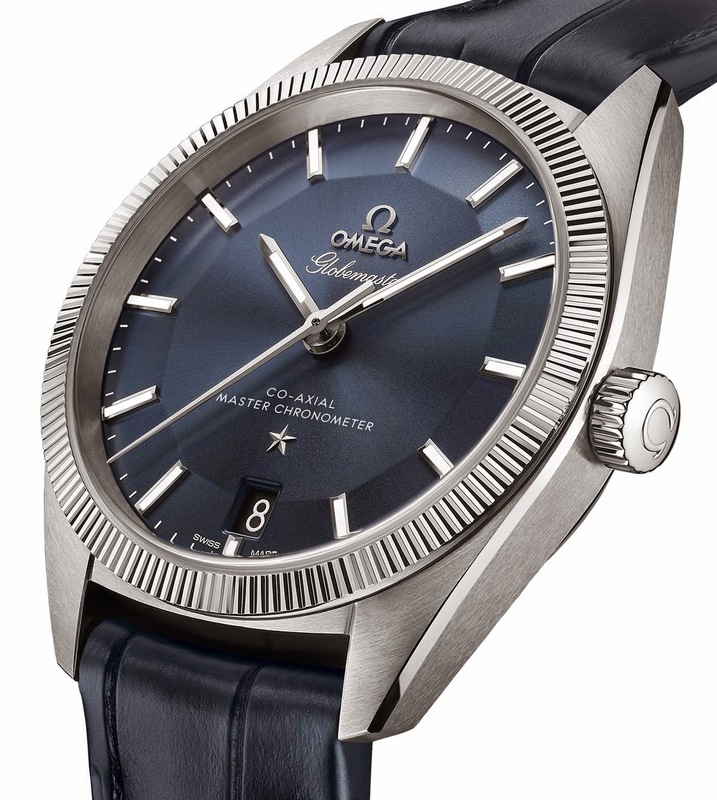 Presented yesterday in Basel on occasion of Baselworld 2015, the Omega Globemaster is the world’s first watch certified as a Master Chronometer by the Swiss Federal Institute of Metrology (METAS). 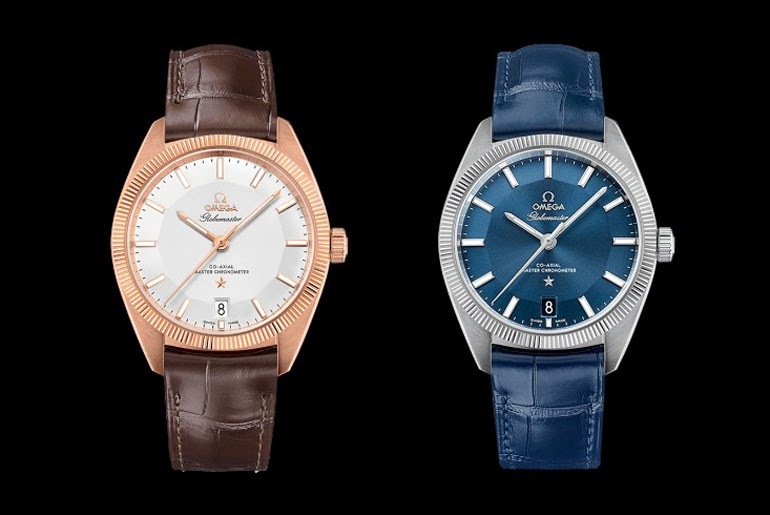 The Omega Globemaster will be in stores in November. 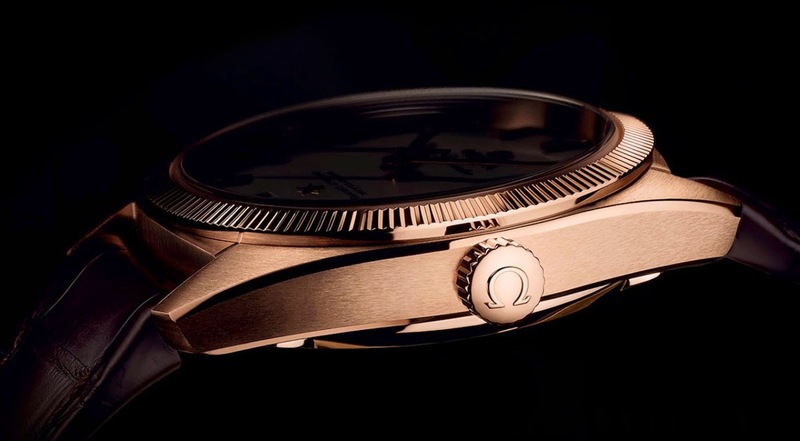 Prices start at Swiss Francs 6,300 for the steel version and goes up to Swiss Francs 18,000 for the gold model. 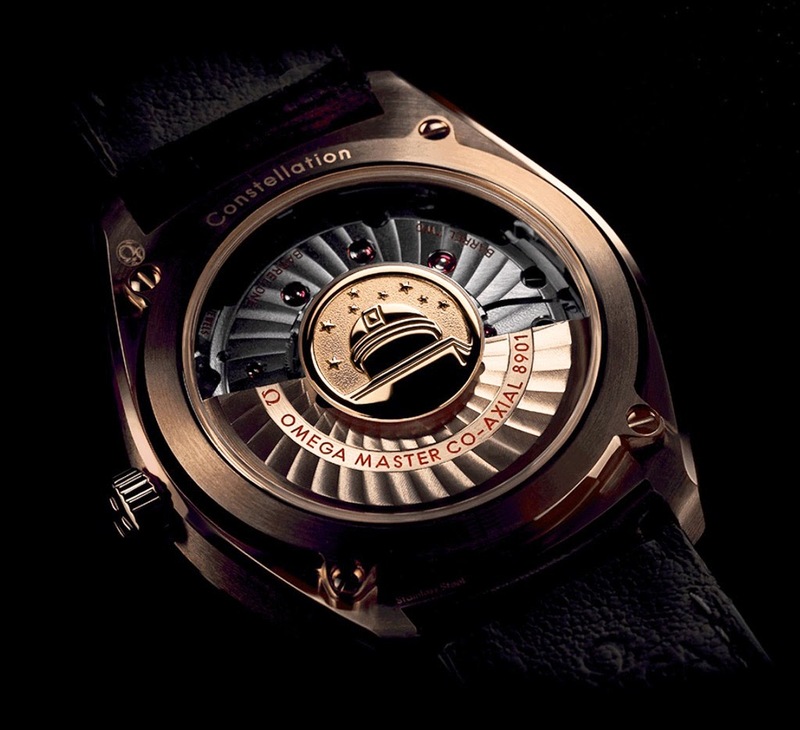 A 352-piece limited edition in platinum will also be available with a price of Swiss Francs 37,000.